We are super excited to share another product collaboration with our friends at Ranger Ink. Ranger Ink is known for their innovative product offerings of ink, tools and craft products. 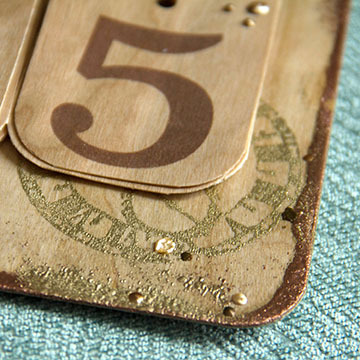 Click here to see the cool stuff they created on their blog with our Real Wood Paper. We paired our Real Cherry and Birch Wood paper with their amazing embossing powders and embossing inks to create this perpetual December calendar. 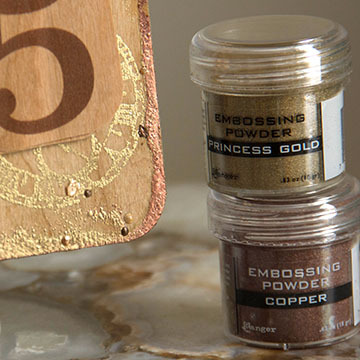 We love how rich the metallic embossing powders appear on the Cherry Wood paper. 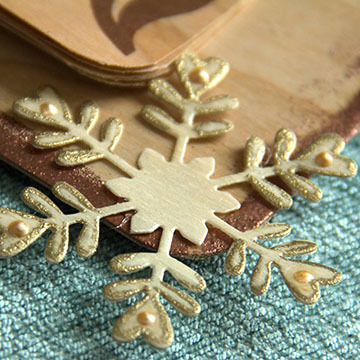 The rich warm tones of the embossing fits perfectly with the rich warm tones of the Cherry Wood paper. We randomly lined the edge of the Cherry Wood paper with Ranger Emboss IT ink and pens. We used the clear Emboss IT pen to add a little spot detailing. Wanting even more texture, we added a few pearly accents with random dots of Liquid Pearls. Create your own Perpetual Countdown calendar. 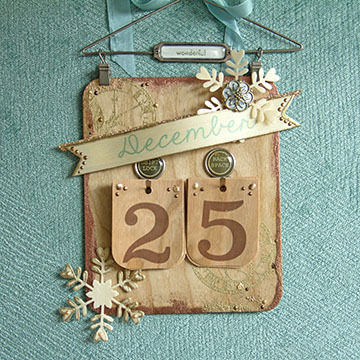 Simply print this perpetual-calendar onto your favorite finish of Real Wood Paper. Cut out, embellish and assemble as you like. Happy December! Be sure to check out Ranger Ink on Facebook, Instagram, Pinterest, Twitter & Blog to see their whole line up of products and the amazing things you can do with them! We love Ranger Ink! 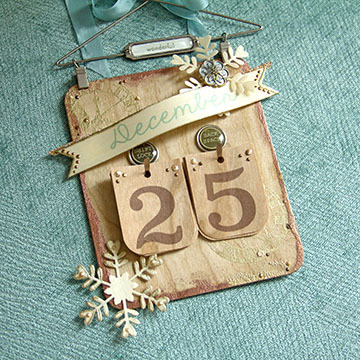 This entry was posted in DIY Projects, Home Decor and tagged Birch Wood paper, Cherry Wood paper, December, Heat Embossing, Liquid Pearls, Perpetual Calendar, Ranger Ink.